Oooh…Sparkly!! – Alumnae Panhellenic of Tallahassee, Inc.
Auction donations are starting to come in! 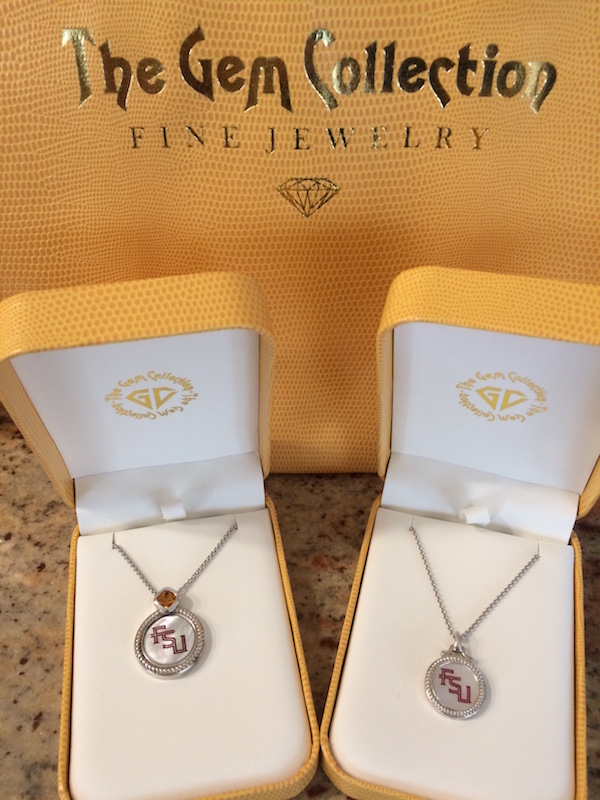 Check out these beautiful sterling silver, mother of pearl FSU necklaces donated by The Gem Collection. One is accented by a lovely gold citrine stone. Wouldn’t you look great in one of these at the next FSU sporting event? The necklaces, along with more wonderful items, will be part of the 2017 Scholarship Luncheon auction, proceeds of which go directly to fund scholarships for Panhellenic women at Florida State University.